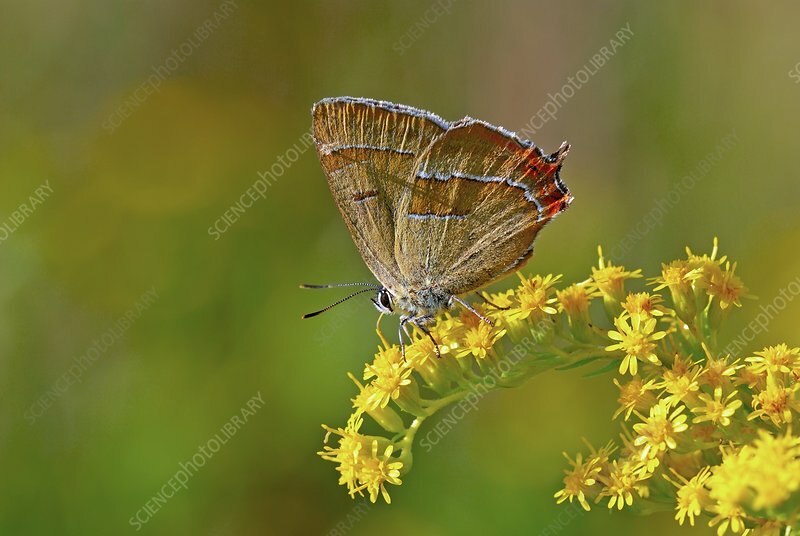 Brown hairstreak butterfly. Male brown hairstreak (Thecla betulae) feeding on a flower stalk. Photographed in Poland.